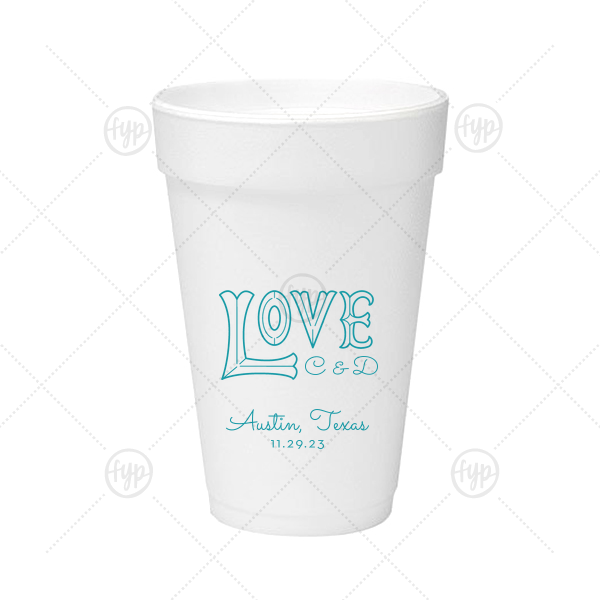 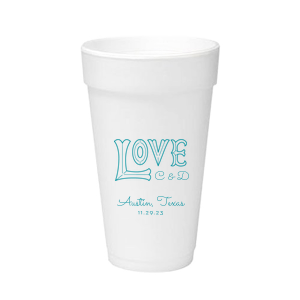 Customize this cup for themed wedding barware your guests will enjoy. 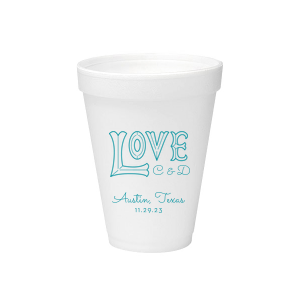 Featuring our Love word art, add the bride and groom's initials, wedding location and date for a personal touch. 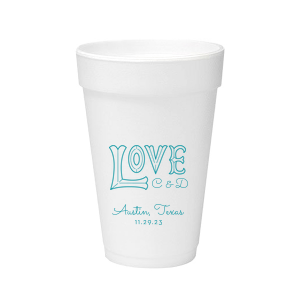 Perfect for a casual or outdoor reception, these foam cups can hold either hot or cold drinks.